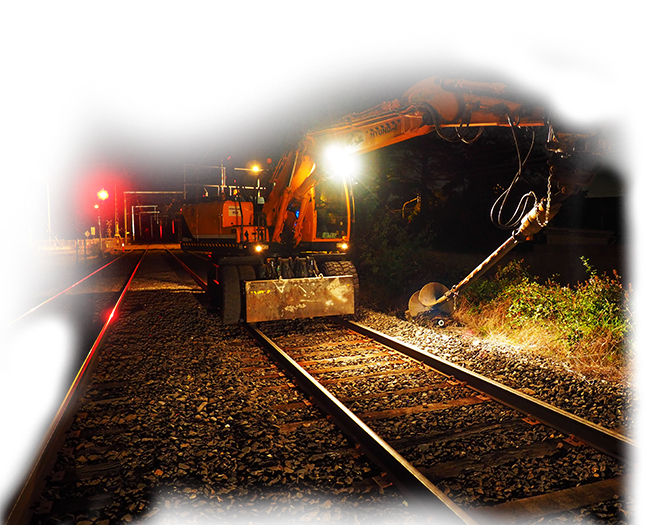 The Montgomery Constructions & Rail team specialise in the Rail and Construction industries. We can supply all rail related plant, equipment and skilled operators for your project Australia wide. All operators are fully qualified and hold the relevant qualifications for track access. The machinery and attachments can be used on a wet or dry hire basis. We’re one of the few companies to have our own transport capability to ensure our machines arrive on time to the right location with minimum fuss. All plant have relevant certification for operation within designated areas.